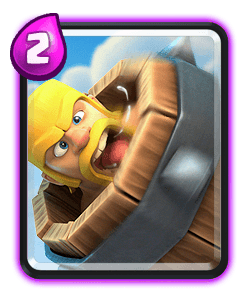 Clash Royale Deck Guide - 2.1 Spam Cycle Deck! Cycle decks are by no means an easy deck to play and it isn’t an archetype that you can learn quickly. This deck requires patience to play and I recommend reviewing our game play after a match to see either why you won or why you lost. What you should do with this deck is defend and defend until you have enough troops to use to counter push with or you have a good elixir lead. Although you have lots of low elixir troops the real secret to success with this deck is to get value from every single card you play whether it’s forcing your opponent to respond or your distracting their troops with skeletons or resting and inferno dragon with your ice spirit. 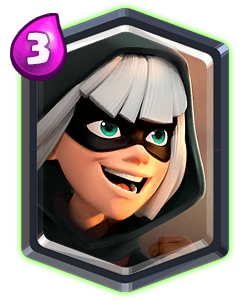 Bandit is another great bridge spam unit, she can offer a lot of value especially if you can get her to charge onto the opponents units. She can also stop a charging prince without sustaining damage herself. She can charge over the river to providing you get the correct tile placements. 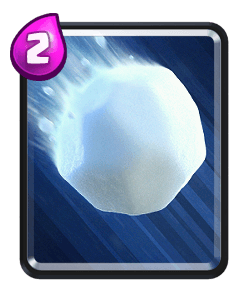 Battle ram will be your main counter push card, it can also be used to kite units into the opposite lane. It’s great to help take out seige units too. 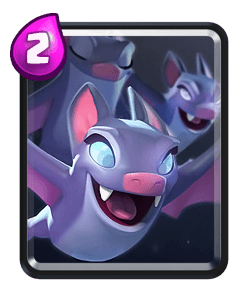 Support it with your two spells to protect it from units like bats or goblins. 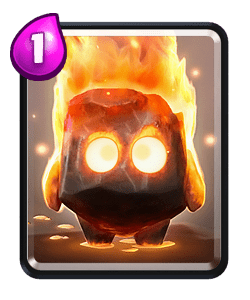 I have always said fire spirits are massively underrated in this game, for two elixir they can counter minion hordes, barbarians, goblin barrels and they can do as much damage as a fireball if they’re connect to their tower. 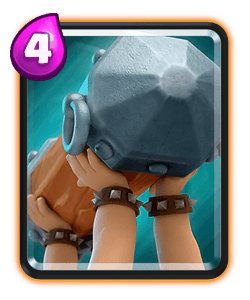 They’re also great at helping out out on defence and you can use them offensively to support your battle ram or bandit providing they don’t have a small spell in cycle. Early game you should try and figure out what deck the opponent is playing as early as possible. If it’s a heavier deck apply light offence when they play a lot of elixir. Check out the video to see how One handles lava hound and a golem matchup using this deck. For starting plays either cycle the barb barrel at the bridge or the ice spirit because these will both get some chip damage if left unanswered. During double elixir it’s easy to leak elixir, so practise cycling your cards and check out how One does it in my video. If you leak to much elixir throughout the match you’ll struggle to regain control and win the match. A lot of the ti e you will be waiting for the opponent to make a mistake and take advantage of situations when they don’t have many counters in hand. Goodluck running this deck remember it takes a lot of patience to master!